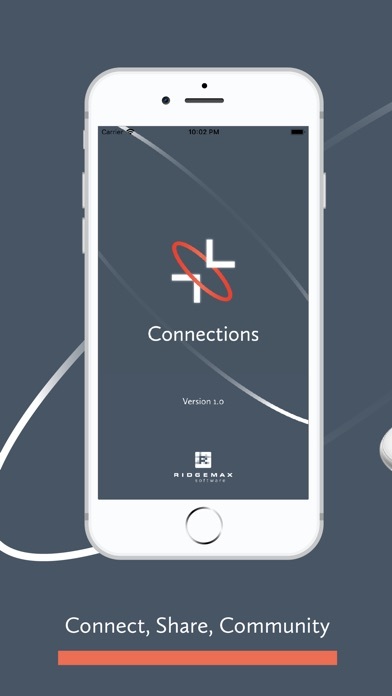 The Connections app introduces new intergenerational relationships in a church by randomly creating monthly connections within your church. On the first day of the month, the Connections App will alert you to your new connection for the month. The contact information for your connection is displayed on the app for you so you can contact and arrange a meeting any time during the following month. The connection plans are up to you – dinner, breakfast, coffee, snow cone, or whatever plan you make with your assigned connection. 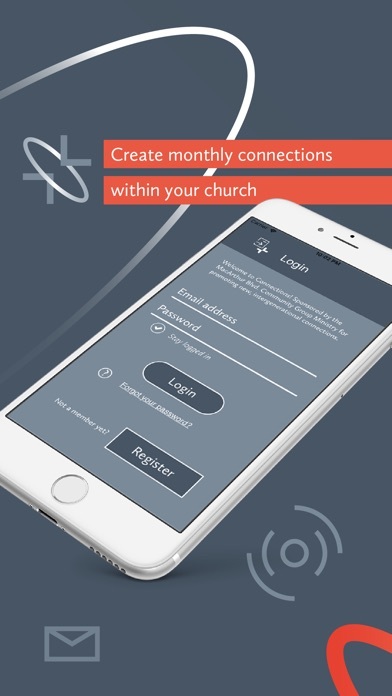 This app is only designed to help churches encourage members of the church to make new connections within the church. The app requires that each family unit (married couple, single, divorced, widowed, married couple with children, and empty nesters, etc.) fill out a short Profile and indicate whether they are in or out for the next monthly connection. Features include: Opt-In / Opt-Out feature allows you to rest during months you are too busy or not available for a new connection. You can easily opt back in when you are ready to resume making new connections. Active Status makes it simple to know if you are currently opted in for the next month, or if you are currently inactive for the next month. Profile Setup collects important contact information as well as the size of your family and your Sunday morning small group membership. 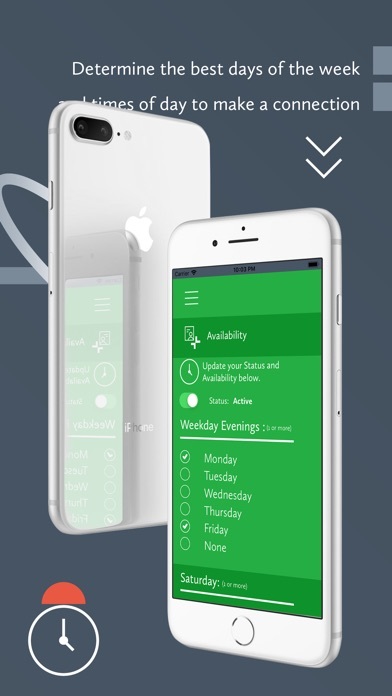 Availability Setup allows you to determine the best days of the week and times of day to make a connection. You are not bound to these days and times, but it helps communicate your best availability for your connection. The My Connection feature will populate with a new connection each month. Contact and availability will be viewable for the entire month. NOTE: This is not a church dating app. The app is designed to avoid making connections between singles. 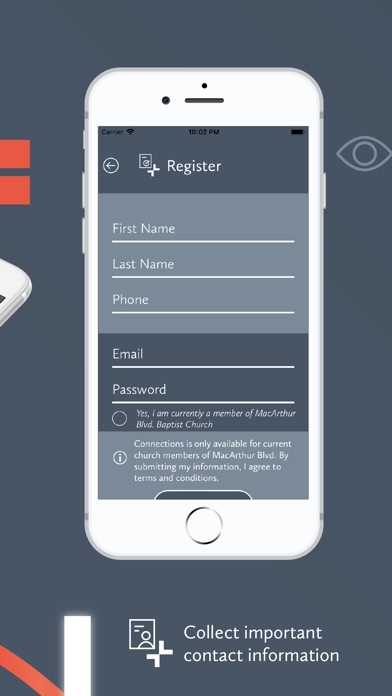 The purpose of this app is to encourage church members to meet a new family each month.